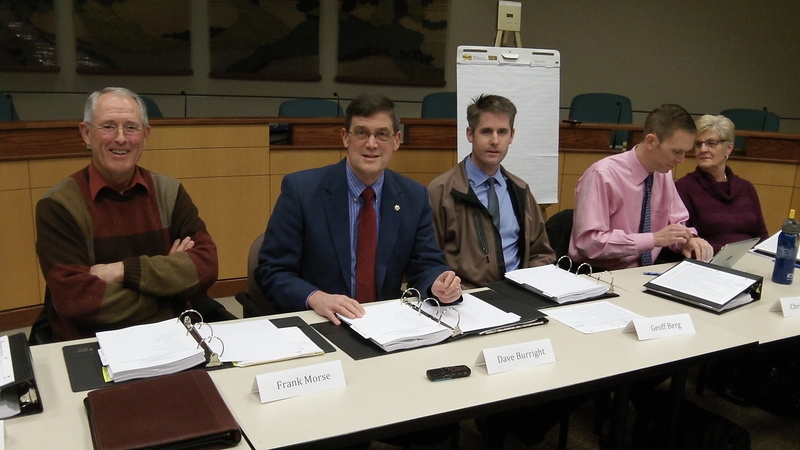 Frank Morse and Dave Burright (first and second from left in this photo from January) head the police/fire building panel. For four months now, a committee of citizens has been reviewing Albany’s plans for a new police headquarters and downtown fire station. One way to keep track is to attend the meetings every other week or so, but that is tedious work as one recent session lasted more than two hours and didn’t break up till 9:30 at night. It is much more convenient to read the detailed and almost verbatim minutes, which now reflect a recommendation for a significant change in the city’s plans. Information attached to the agenda of the meeting scheduled for May 7 reflects the panel’s recommendation to remodel the police headquarters where it is, next to the Linn County Jail on Jackson Street, if enough property can be acquired to expand it there. This is a big step because it would remove one of the arguments by opponents that helped kill a combined fire-police bond issue last fall. 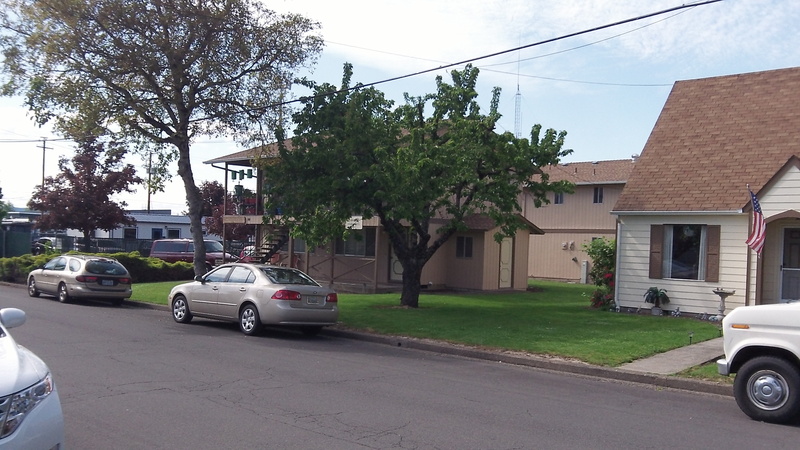 The objection was to relocating the police to a now-vacant parcel on the west side of Pacific Boulevard north of 29th Avenue. The city bought the land in 2009 for $860,000. But Police Chief Mario Lattanzio says the department would rather stay where it has been since 1988 if the building, much too cramped by now for a force that has almost doubled since the ’80s, can be enlarged. Apartments and a house behind the police station. The trailer in the left background houses the detectives. But just in case that proves impossible, the panel also wants the city to petition the Oregon Department of Transportation for a permit to access the other site from the Pacific Boulevard (Highway 99E). At present, access to the site is via 29th and a segment of Willetta Street lined by medical offices on one side and homes on the other. Hasso, Can you refresh our memory. Did not the citizens of Albany vote down a measure last November, stating that they do not want this action taken (building a new Fire Dept. & a Police Station) ? It’s called due diligence. It’s something the city council neglected to do last year before the election. Finally, a city body is acting with a high degree of care on a money issue. How refreshing. I thought the council was to keep out of this process. but what’s a promise when free speech is concerned? Thanks Hasso. I just did not know if this was going to turn into a situation where the voters turn something down and the Politicians do it anyway. Such as; many years ago Salem Citizens, by a large margin, voted to not build the downtown Convention Center….the City did it anyway. State Voters vote in the death penalty but the Govenor refuses to utilize it. The State Attorney General will not enforce the marriage laws that voters passed. Here…taxpayers vote not to pass a bond to build the new police station and firehall….but seems the City is still trying to find a way to do it. This is the same fear I have here in Millersburg on the City PU issue. Seems like voters dont really have all the power we should or think we have. Thanks for your blog !